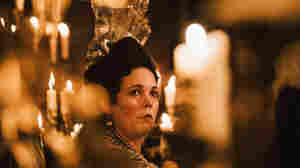 November 28, 2018  The Extra U Is For Unctuous: Yorgos Lanthimos' latest is a gleefully nasty piece of work about a queen (the spectacular Olivia Colman) and two women (Rachel Weisz and Emma Stone) vying for her favor. November 19, 2018  Corruption is kind of a big news story these days and it's one of Hollywood's favorite subjects. NPR's Pop Culture Happy Hour takes a look at how corruption is presented in TV and movies. 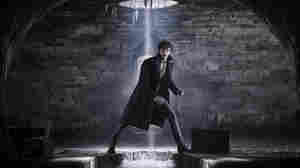 'Fantastic Beasts: The Crimes Of Grindelwald': Beasts? Check. Crimes? Check. Fantastic? Not Quite. November 15, 2018  The second installment of J.K. Rowling's follow-up Potter franchise is as overstuffed as the first, but it's less muddled. It dutifully advances the story, but fails to deliver thrilling set-pieces. 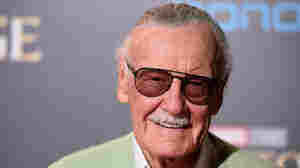 November 12, 2018  Stan Lee — born Stanley Martin Lieber — co-created many beloved Marvel Comics characters, but he became the company's tireless, beloved figurehead. NPR's Glen Weldon offers a remembrance. 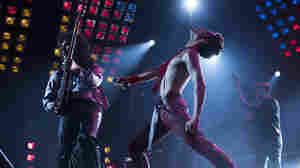 November 1, 2018  A fearless performance from Rami Malek and rock-solid rock anthems can't lift this listless musical biopic out of the sea of clichés in which it treads water. October 25, 2018  Tina (Eva Melander), a Swedish customs official, can smell when someone's lying. When she meets a stranger (Eero Milonoff) who knows more about her than he's saying, she sets out to find answers. October 25, 2018  Director/co-writer Lee Chang-dong adapts a haunting Murakami short story about a young man drawn into the lives of a woman, her cat and a handsome, mysterious stranger. October 19, 2018  Mad Men's Kiernan Shipka ably carries the Riverdale-adjacent series on Netflix about a young woman who's half mortal, half witch and all hero. October 12, 2018  Part two of Gengoroh Tagame's heartfelt manga about a Japanese man coming to terms with his late brother's sexuality depicts an achingly real process of fits and starts, advancements and reversals. October 12, 2018  It's a musical comedy! It's a romantic comedy! Mostly, however, it's a dark comedy. But in CExG's fourth and final season, Rebecca (Rachel Bloom), and the entire cast, are inching towards the light. October 11, 2018  The Netflix reality series follows drag queen Alyssa Edwards (and her alter ego, Justin Johnson) through her/his offstage life as a dance instructor in Texas. 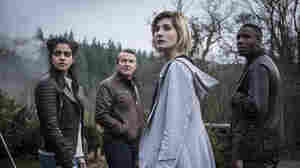 October 7, 2018  In a down-to-earth yet emotional season opener, Doctor Who introduces Jodie Whittaker's Doctor and her three companions. October 3, 2018  From the big studio flicks to the festival favorites, here are some of the best and otherwise noteworthy films coming to theaters. October 1, 2018  In Roger Michell's delightful, delicate, crustless-finger-sandwich of a film, four legends of the British stage and screen gather to reminisce and complain and joke. Which one are you? 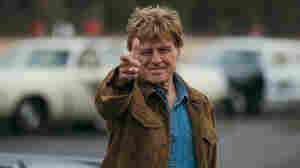 September 27, 2018  In what may be his final screen performance, Robert Redford amiably cakewalks through David Lowery's old-school, old-fashioned cops-and-robbers yarn.